Google wouldn’t be Google if it wasn’t shaking things up with its products and offerings. The latest shake up? Sunsetting the Google Site Search. As you may have heard, over the course of the next year, Google Site Search will be discontinued, leaving in place Google’s Custom Search Engine (CSE), which will continue to be ad-supported. As of April 1, 2017 Google has stopped selling licenses and renewals for the Google Site Search, and will completely phase it out by April 1, 2018. Ads are required. Google will, however, make exceptions for 501(c)(3) organizations. Google branding is required with the new search version, and cannot be disabled, even for 501(c)(3) organizations. There are monthly search query limits, so if you are running a high-traffic website there is a chance that the search will stop working once you hit your limit. 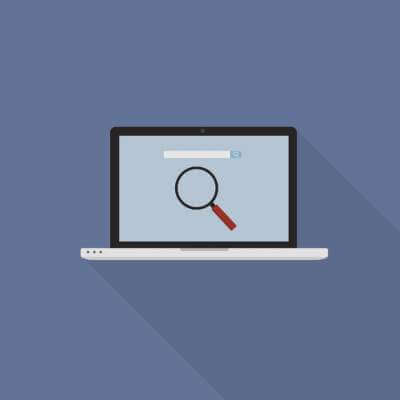 Wondering what this means for your organization and your website’s site search if you are a Google Site Search user? Nothing, until your current Google Site Search license expires. You will continue to have access to the Google Site Search and your implementation and settings will stay the same until your license expires. At that time, Google will automatically convert your site search to the ads-supported CSE version and the changes mentioned above will take effect. If you are a 501(c)(3), are okay with the Google branding on your site search, and have a relatively low site search usage on your website, the transition to CSE should continue to meet your needs. Once you are converted, you will simply need to disable the ads and should also be prepared to provide Google’s legal team with proof of your 501(c)(3) status, if requested. Pretty simple. If you’re concerned that Google CSE won’t meet your needs, always keep in mind that there are other options on the market. For example, we’ve implemented the Searchblox and Solr site searches for our clients with excellent results. In fact, I recently spoke with CEO Joanna Pineda about why we love the SearchBlox site search so much. If you’re interested in what other options are available to you, please reach out! We’d love to work with you to find the perfect solution for you organization. Have you been switched to the Custom Search Engine yet? What are your thoughts? Categories: CMS, E-Commerce, Integration and Mobile Apps, Design and Information Architecture | Tags: Google, search, SEO | Bookmark the permalink. Dave is Matrix Group's Director of Software Engineering, bringing more than 20 years of experience in business development support, product development, web development, e-commerce, and program management. Dave enjoys golfing, playing basketball, and is an avid supporter of the Philadelphia Eagles. He has three sons and a daughter who keep him quite busy. His favorite movies are Apocalypse Now and The Matrix, conveniently.